I knew the flying all over the world to view mosques sounds untrue...haha. I have only visited the Blue Mosque in Turkey. lol u traveled around the world for MOSQUES?! How i wish all those replicas existed when i was doing my assignment for tamaddun islam..
Look like real ones... at least on photos. But, non-Muslims are not allowed to enter Mecca. yeee..... you almost had me fooled. I have no idea there's something like this in Terengganu. 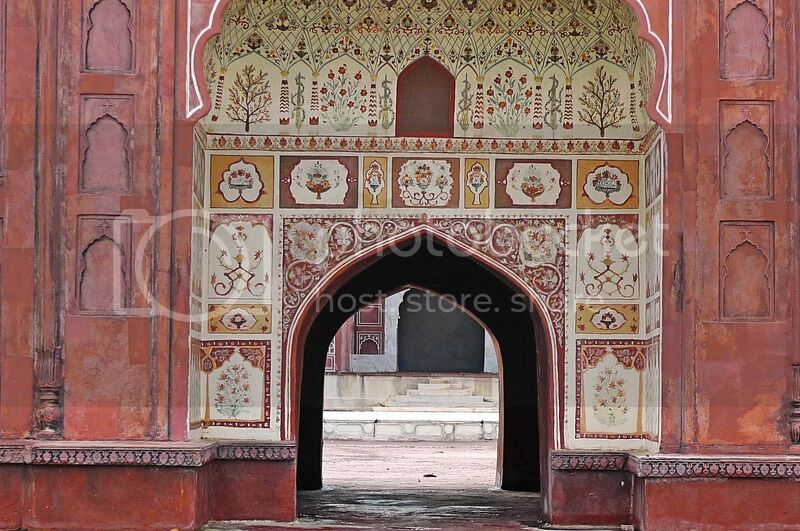 So that is the replica of Badshahi Mosque? :p Or is it the real thing? Wow...so soon you were already in Turkey? :p Suleyman Mosque aye. So the next one is like the one in Bali? :p Looks a little bit weird ler. P/s: Foong, 1st of April already passed for 2 months. LOL! I stopped believing you when you mentioned you flew to Mecca in Saudi Arabia because non-muslims are not allowed to go there. aiya.. been so busy n now only got time read back. WTH!! NOT TRUE ONE!! grrr!! Beautiful structures. I've read about this museum in Terengganu. Thanks for sharing. Looking forward to the others. I've only visited the mosque in Putrajaya. Thanks for the clarification otherwise i was seriously wondering that you went all around the world in search of Mosques.Do come to India if you are really fascinated with mosques.You won't be disappointed. 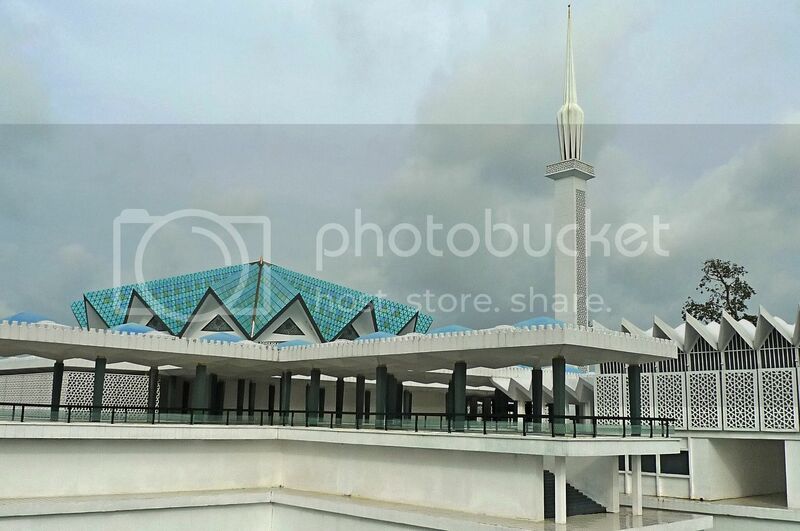 Adui I thought you betul2 fascinated with mosques! hahaha, as i read through, i already know you are trying to fool around with those photos..
i really don't believe you've been to so many countries.. the 1st couple of photos may have made me believe, but as i scroll on, uh-uh, it just can't be real..
but you very good huh, the photos look very real.. can't really sense they are not the real ones.. the way you capture them make them look like the real thing..
ok, i think i know the trick.. to shot from the bottom to the top, so the "building" looks more erected.. haha!! i didn't know there's such a place in kuala terengganu at all.. hmm, maybe i've not been to kuala terengganu actually, hahaha!! actually i think mosques do have nice architectural structure.. the moors design is so significant and so characteristic..
but where is the famous Sofia Mosque in Turkey?? i think that's a very nice structure.. i want to go there and see..
ok, so the Crystal Mosque in your next post.. is it a real thing, or just one of the models in the Taman?? bengbeng, you believed me? Haha! reanaclaire, yes you are allowed to go in but some are too small for you to go in. Haha! mei teng, oh you have visited the mosque in Turkey? Cool! caroline ng, yeah I am an amazing panda! LOL! wenn, a little too late for you? Haha. husni zm, no I don't mind at all, in fact thanks for your reply to Tekkaus' question! I know now is June and no longer April 1st, but if I were to put up this post on April Fools Day, no one will fall for it! LOL! caroline ng, haha, you also kena tricked? Sure la only 12 years old! LOL! iamthewitch, haha! Almost got you there! LOL! merryn, OMG! Praying in the kiblat direction in my past life? That's very imaginative of you! LOL! SK, haha so as you scrolled further down, my story became less and less believable right? LOL! 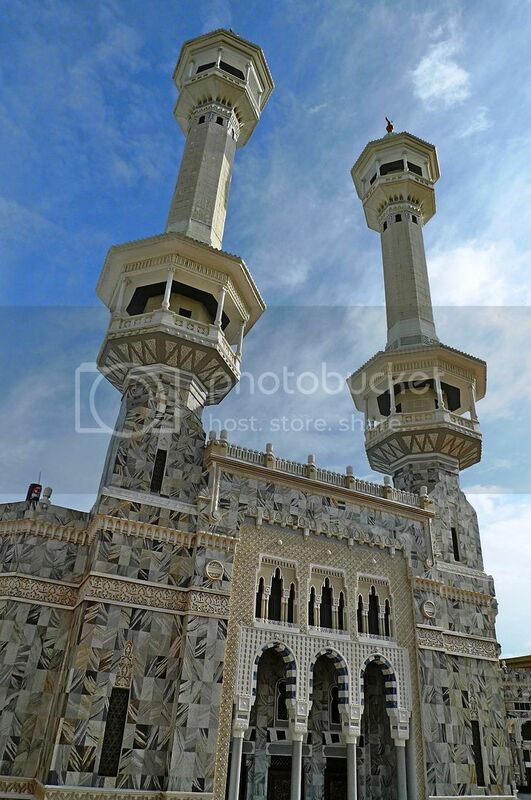 Yes, the mosques do have nice architectural structures. Actually, I did not really lie when I said I am fascinated with them. The Crystal Mosque is the real thing and not a model like all the mosques in these photos here. Haha! hmm i've never been to Terengganu.. Thank you for that link! 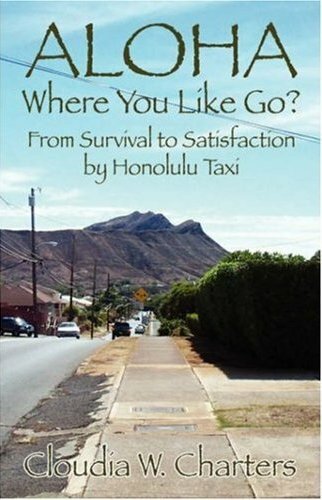 I would love for new people to order my story at Amazon.com and to feel the love & wisdom of Hawaii as YOU, Foong, show us such a wonderful country! yeah, you know i am a smart guy and think logically right?? so when you say you see every one of those mosques as if you've travelled around the globe, i started to suspect already..
ok ok, looking forward to the Crystal Mosque, the name is already very attractive..
Mosques' architecture are really great. Especially those that were built during Islam's golden age. LOL! You got me as well being a world traveler. 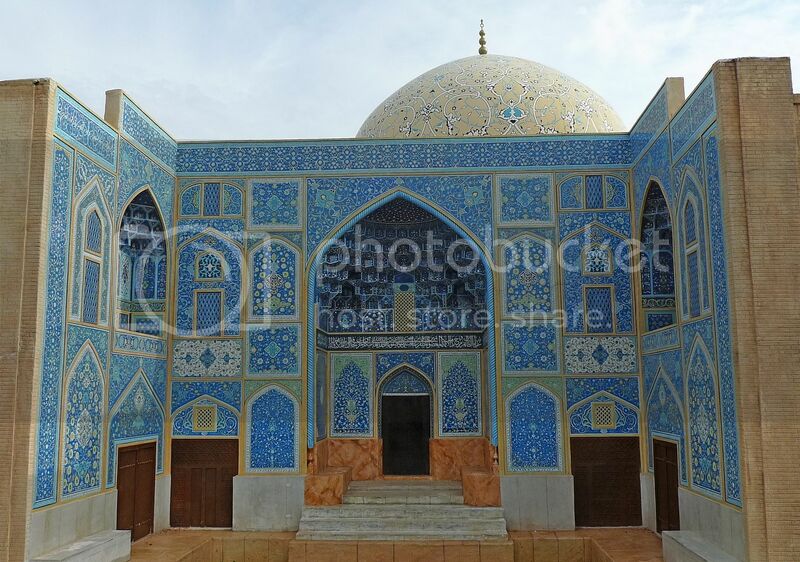 Living in America, these mosques are things I don't see much except for those that post them on the internet. Still, they are fascinating to look at! The architecture for them are amazing! wah that is quite a number of mosques! I'm impressed! Last year you were talking so much about Guilin and no word mentioned about even a Mosque in China and all of a sudden flying in out up down visiting Mosques? No way..Panda!! haha. My very first experience in visiting a Mosque was in Cairo. Oh unable to find a better word to describe the feelings I had while standing right in front of the qiblah wall. Awesome..tQ. Thanks for the post especially for those lovely pictures. 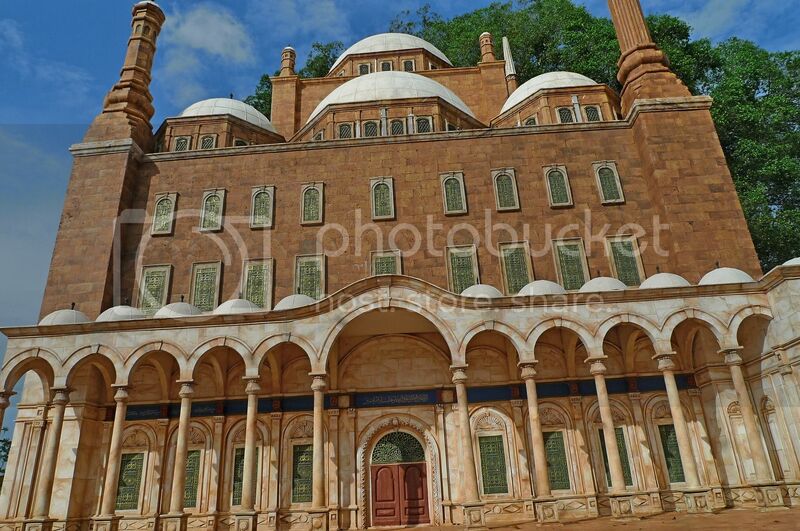 I also belong to a non-Muslim community but I have interest in Muslim architecture. 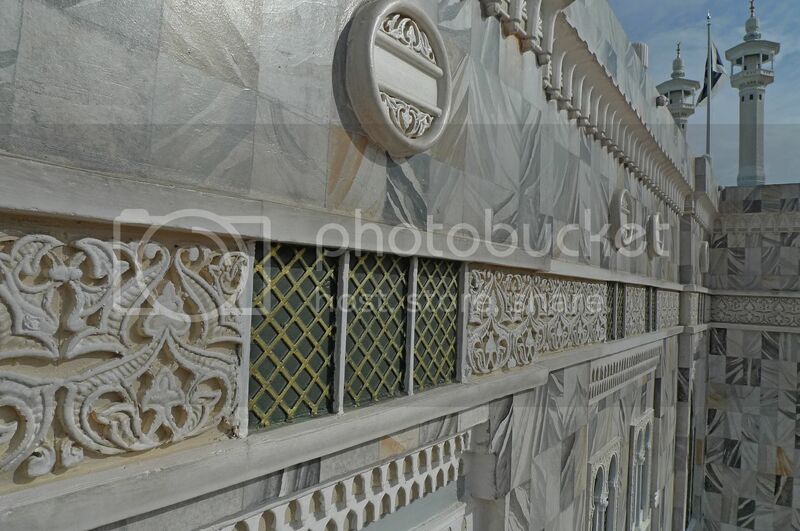 The outside decoration of Al-Haram Mosque is superb. Thanks once again. Bye. First of all I must thank you for your effort. Might the pictures be gathered from the Internet, still I must praise your effort. The architectural style of the Kudus Minar Mosque is a unique combination of the Hindu-Javanese style with the Mughal style. 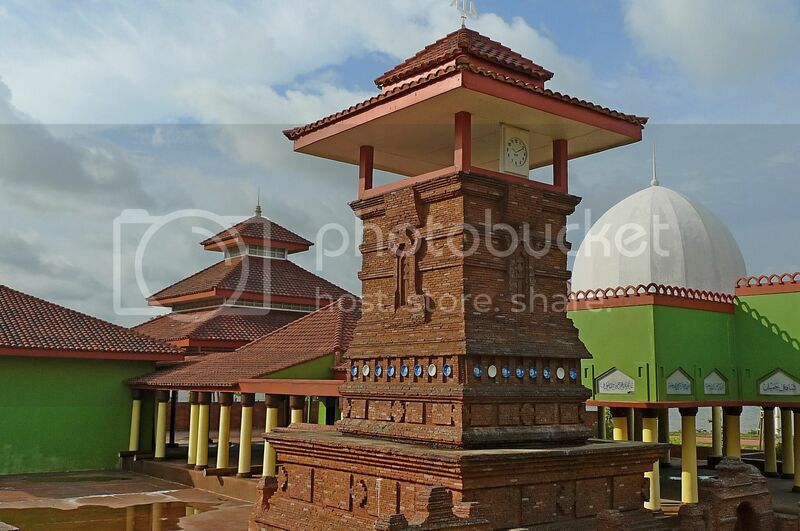 This type of mosque is few in number and found only in certain parts of Indonesia. i've visited the Taj Mahal and a few mosques in Turkey. they are magnificent. i also refused to believe you travelled all over the world in search of mosques, sounds untrue. SK, smart guy? Haha! Please don't flatter yourself. LOL! Haha, don't worry no hair on those crystals! LOL! ayie, welcome back!! Oh you used to draw a lot of mosques? Interesting! bluedreamer27, never been to any mosques? You should go visit one! bananaz, haha! Didn't get you did I? LOL! Wow! Cairo! I haven't been there before! Hi very great post looking all forts is related is my rajesthan all forts looking very impressive for future thanks for great natural sharing. 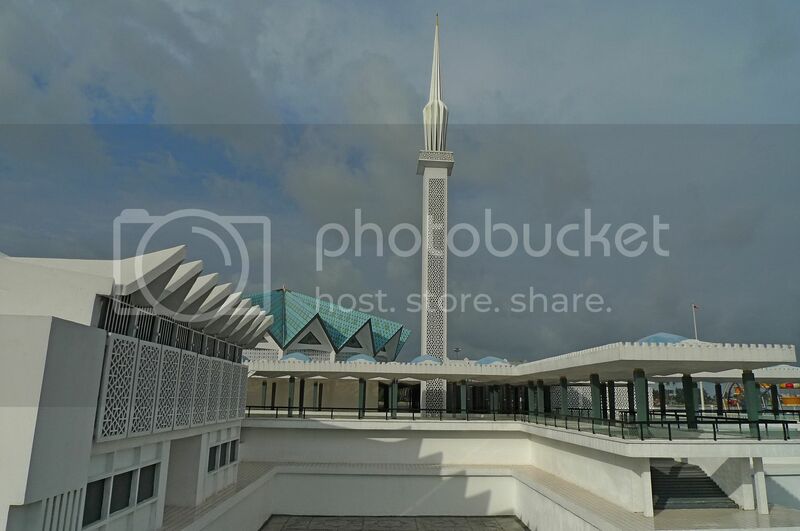 Thanks for sharing such nice photos specially blue coloured Sheikh Lutfallah Mosque is so beautiful.National Mosque in KL is amazing. Awesome collection and i like these designs. Thanks for sharing this interesting post. I inspire your design. Its simple and perfect looks. Its great stuff. every thing is new for me. I get some new information through this blog. 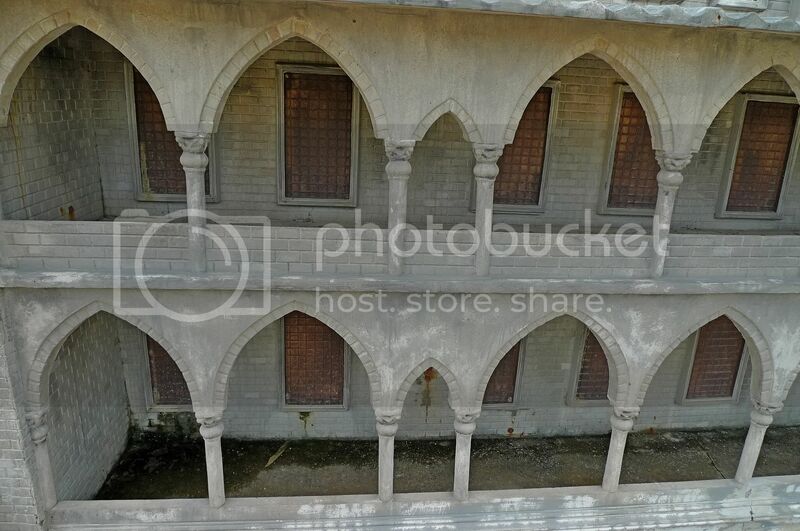 An amazing site and nice point of view..really enjoyed lot.nice architecture looks pretty Thanks for this post here. I would like to appreciate that you have done a great job of finding holy places. Keep up the good work. With the advanced pace, the Linux reseller hosting is customized and branded for the control of the services to support the billing administration that is truly commendable. The Linux Reseller Hosting truly allows you to have the customized hosting packages to suit the personnel needs and can make the exploration in customers’ needs and requirements. The cloud VPS server is one of the ways to reduce the cost and services of the business and thus increase the operational efficiency. The Cheap Cloud Server by isolating the programs set aside the high levels of privacy, security and control over the functional requirement of services for the business or each individual.